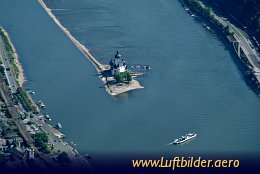 Burg Pfalzgrafenstein (''The Palatinate'') is located on a small island with the Rhine River near Kaub. It is famous for its pituresque and unique setting. Pfalzgrafenstein is one of the few castles at the Rhine River which have never been destroyed.